I often find myself giving people huge lists of suggestions for my favourite spots to check out in Toronto when they are visiting, so I figured I'd start a new feature called Around Town! 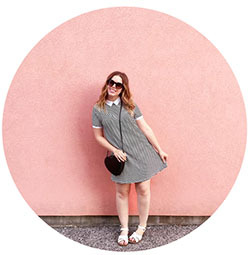 Here I will feature and highlight some of my favourite spots in the city. 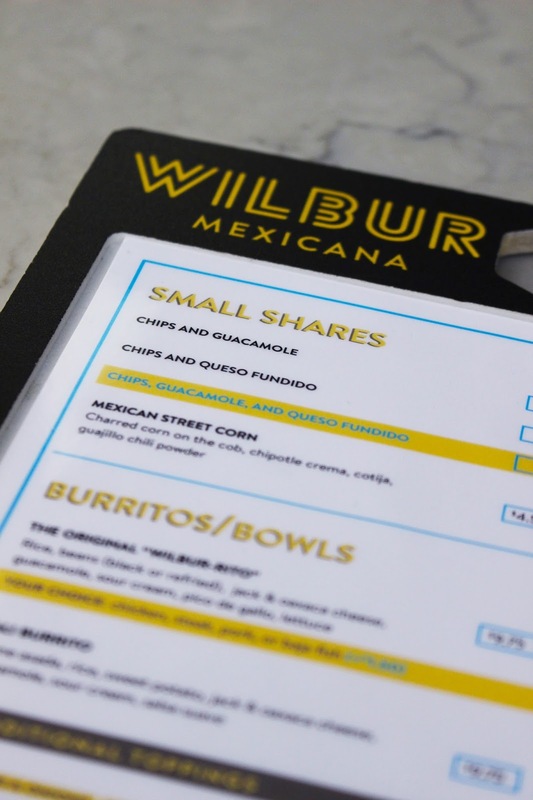 First on my list of recommendations is usually Wilbur Mexicana, my favourite restaurant for tacos in Toronto! Only a few years old and this place is super popular among locals and tourists alike. As you enter, you pickup a menu and simply go up to the counter to order. They give you a number and you take a seat and someone brings over your food in no time! A very laid back and chill atmosphere with communal seating and friendly staff. 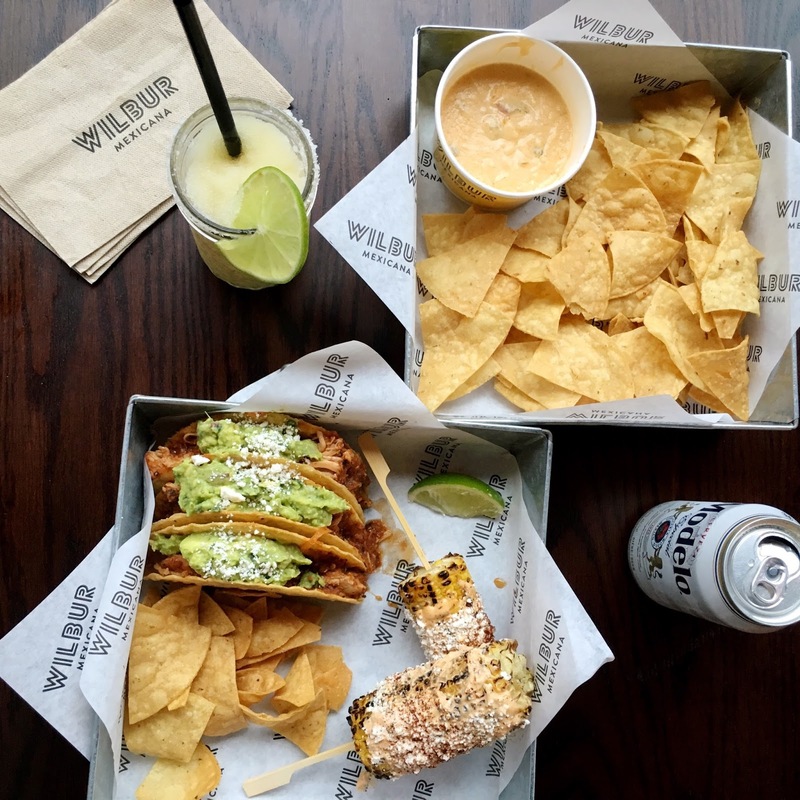 The menu offers a variety of options from mexican street corn, to a great selection of tacos. I often go for the chicken tinga tacos, while Ruben typically chooses a burrito (which by the way are huge!) We almost always share chips, guac and queso fundido - which in my opinion is the best queso I've ever had! I definitely recommend it. 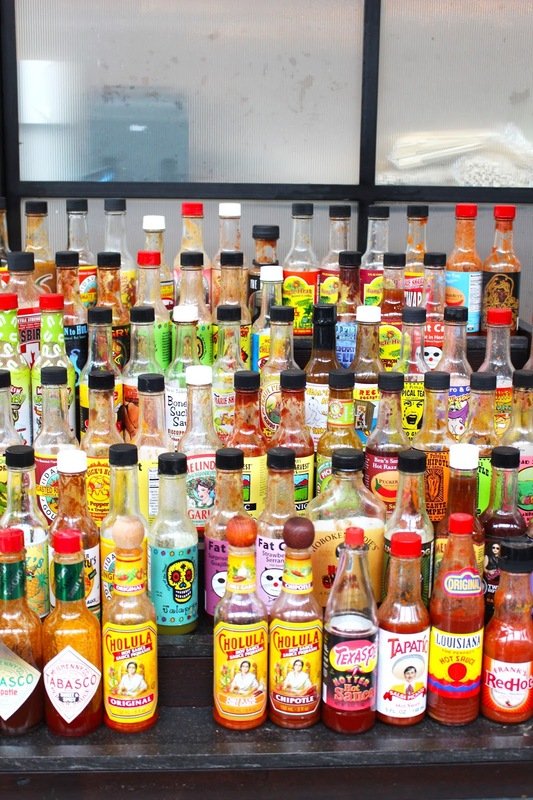 Not only do they have a crazy amount of hot sauces to chose from, but they also have a salsa bar with an abundance of salsa to take and try and your own discretion. A great addition to your burrito or tacos, or dipping your chips into - sample the salsas as you please! Craving an ice cold margarita or beer of the Mexican variety? They've got that too! The drink selection is also awesome, always making it hard to decide if I want to sip a Jarrito or a Modelo. Either way, all the drinks are cold and refreshing and help the heat of the queso go down a little better. You'll definitely want to take a trip to this King West establishment. Your tummy and your heart will leave there happy and full and you will crave these tacos until you return again!